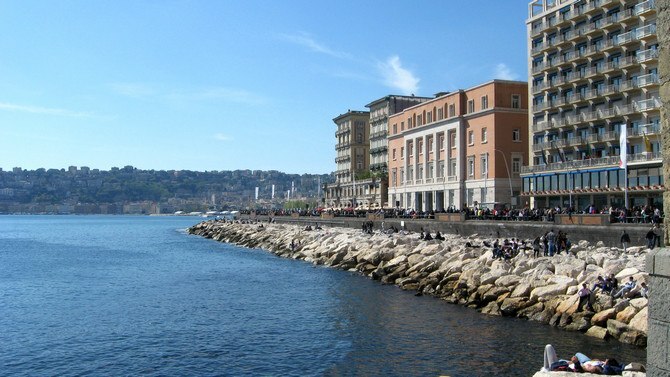 When you are in Naples you should take a walk on the wonderful beach promenade, from the enchanting Marina Santa Lucia to the little port of Mergellina. 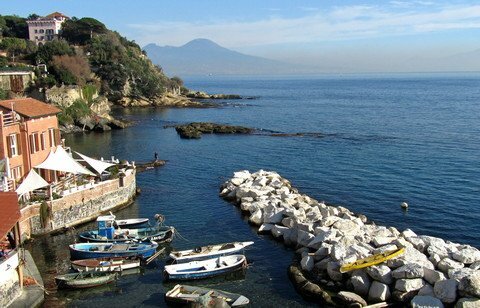 The panoramas of Mount Vesuvius, Capri and Ischia remain unforgettable! A walk on the seafront promenade (“lungomare”) in Naples, Italy, is a classic sunday excursion of the Neapolitan people. 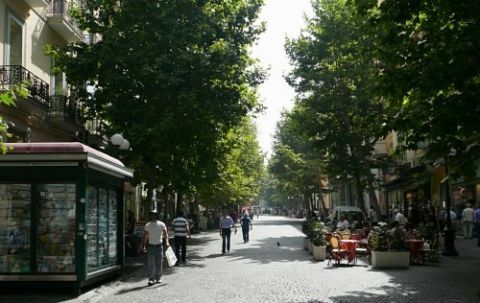 Via Partenope with its exklusive hotels is the beginning of the delightful seafront road, where Castel dell’Ovo (“egg castle”) rises on an island that is connected to the mainland. From the castle, you have a fantastic view of the Mount Vesuvius as well as the quarters Mergellina and Posillipo. At the picturesque marina you find excellent restaurants and bars. A little further, Villa Comunale, a big park with palm trees, chalets, and beautiful fountains, extends along the famous seafront road, Via Caracciolo. If you are interested, you can visit the zoological station, Aquarium Dohrn, which is Europe’s oldest aquarium. Close by the harbour, fishermen sell their freshly caught fish. At the end of Via Caracciolo, pretty chalets invite you to have a cocktail while you are enjoying the sea view. On some weekends the antique fair, Fiera Antiquaria Napoletana, takes place in the mornings. Beautiful: By walk from the big port Molo Beverello in Napoli (Metro Line 1 Piazza Municipio), then cross Teatro San Carlo and Piazza Plebiscito. Walk in the direction of the seafront to Via Partenope. Or by underground (subway) “Metro Line 2 – Piazza Amedeo station”.